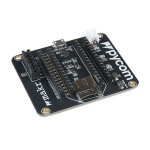 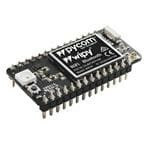 Your Pycom module will need some way to be programmed and that's exactly where this board comes in! .. 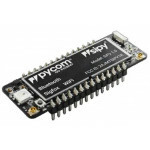 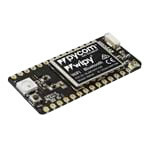 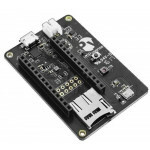 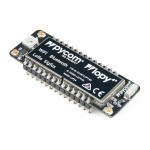 The LoPy4 is a compact quadruple network MicroPython enabled development board (LoRa, Sigfox, WiFi, ..
With Sigfox, LoRa, WiFi, BLE and cellular LTE–CAT M1/ NB1, the FiPy is the latest Pycom MicroPython ..
With WiFi, BLE and cellular LTE–CAT M1/NB1, the GPy is the latest Pycom triple–bearer MicroPython e..
Reference board for the L01 and W01 OEM modules (not included) from Pycom. 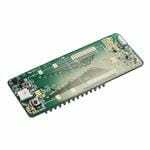 The board has an on board.. 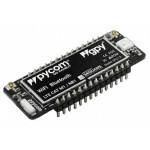 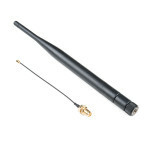 Imagine a shield which you can use with any of your Pycom multi-network modules. 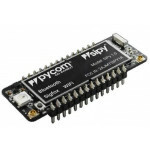 This is what you ge..
Pycom Pytrack Expansion Shield adds the functionality of a super accurate GNSS, Glonass GPS to Pycom..
Pycom SiPy is a triple bearer MicroPython-enabled micro controller with Sigfox, Wi-Fi, and Bluetooth..
A small, space conscious development board for the Pycom MicroPython enabled enterprise level system..